Becoming a dental professional is not easy. It is a full-time commitment that leaves little time for students to earn extra income. Student awards can alleviate financial hardship, and motivate and reward our students to achieve their best. 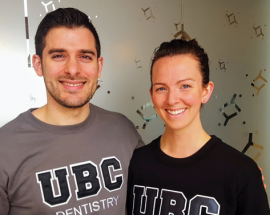 By making a donation to the UBC Dentistry DMD Student Awards Fund or to the UBC Dentistry Dental Hygiene Student Awards Fund, you can help our students succeed. Students are at the heart of what we do. We are committed to providing students with the best learning experience possible, through a vibrant curriculum delivered by our world-class faculty. By providing student awards to talented individuals, we can motivate our students to exceed their goals and help them gain a dental education without worrying about finances. We look to you for your support of the next generation of oral health care professionals. 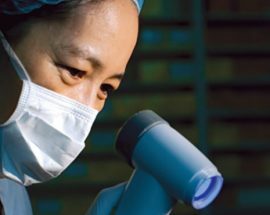 Please make a gift to the UBC Dentistry DMD Student Awards Fund or to the UBC Dentistry Dental Hygiene Student Awards Fund. Your donation will make a significant difference to the dental professionals of tomorrow.